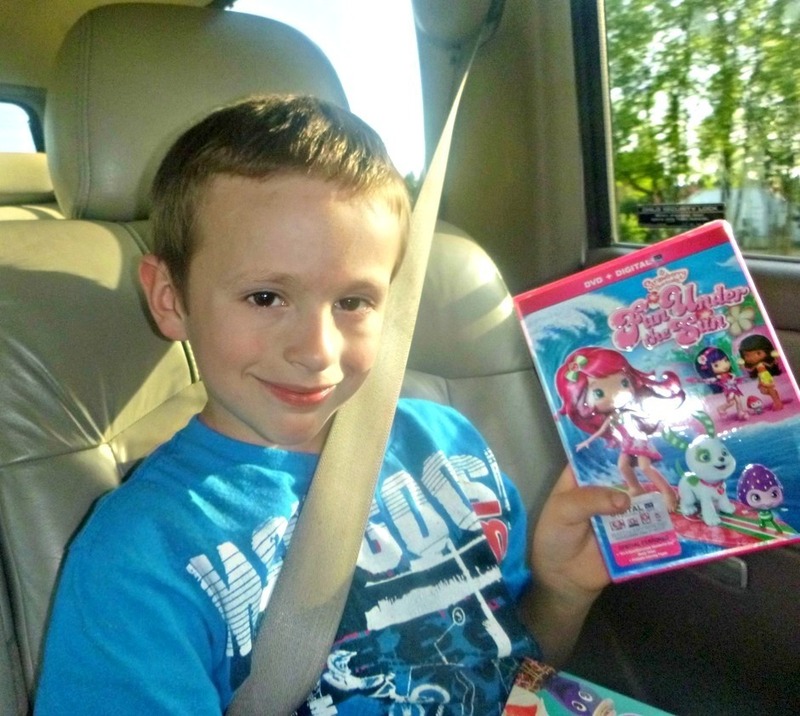 My Experience: I received a copy of the Strawberry Shortcake Fun Under the Sun DVD to Review. This adorable DVD teaches children the importance of friendship and working together. 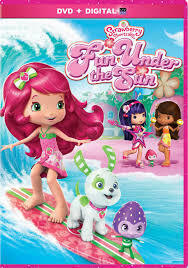 In the movie, Blueberry overhears her friend, Strawberry Shortcake talking about a tropical getaway on a breezy island. Blueberry thinks that Strawberry is planning to take her and all of her friends there! Blueberry then spreads the news and gets all of her pals excited about a trip. They later find out it was a misunderstanding; it was actually a contest that Strawberry was entering. When Strawberry's friends find out the truth, they get together and write a beautiful song and enter it into the contest. When they hear they have won, they are excited until they find out the island has been closed until next year. To make the most of their dissapointment, they create their own 'tropical getaway' at home for evryone to enjoy. My son, Braxton wasn't that interested in the movie, (naturally, he's a boy) but my teenage daughters thought it was cute. I personally loved it because I grew up collecting all of the adorable Strawberry Shortcake dolls when I was growing up. I think I had every one of them. My older sister still has all of hers!